Introducing premium quality spirits and liqueurs from Dragon Mist Distillery — a certified craft distillery near Vancouver in Surrey, British Columbia. 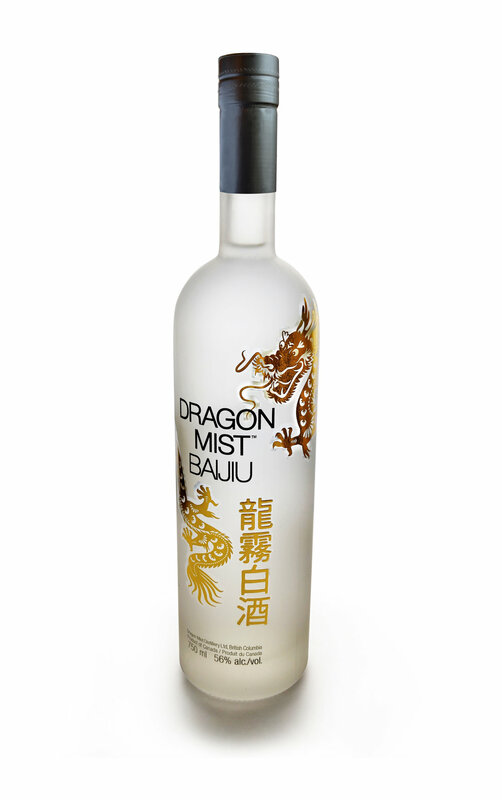 Our Dragon Mist Vodka, and popular Asian spirit, Dragon Mist Baijiu are made with wheat grown on the farmlands of Dawson Creek, and pure, clear Canadian glacial water… that’s all. Our Dragon Mist Gin is made from the same fine ingredients with the addition of west coast botanicals to impart the delicate gin flavour and aroma. Neat, on the rocks, in cocktails, or an icy well-shaken martini, discover the pure, natural essence of Dragon Mist spirits. And for a sweeter experience be sure to try our delicious Cranberry, Coffee, Blueberry, and Limoncello liqueurs. Discover the versatility of these flavourful delights straight-up, on ice cream, and in desserts. It is available in 40% (silver) and 56% (gold) alcohol by volume.